The Multilateral nuclear accord with Iran, the Joint Comprehension Plan of Action, needs strong, active support especially within the US administration. The Accord was designed to prevent the Islamic Republic of Iran from using its civilian nuclear capacities to develop nuclear weapons. The accord was negotiated among Iran and the United States, Britain, France, Germany, Russia, China and coordinated by the European Union. The Accord was endorsed by the unanimous vote of the United Nations Security Council and went into force in 2016. The Accord was considered an important foreign policy achievement of Barack Obama's presidency and owed much to the energy and persistence of the US Secretary of State John Kerry and the European Union's foreign policy chief Federica Magherini. 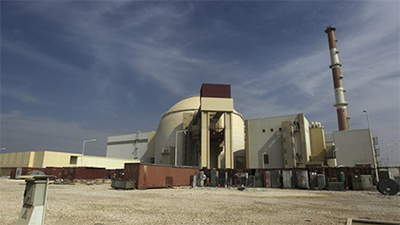 The Accord is structured on strict verification of Iranian nuclear facilities by the International Atomic Energy Agency. In exchange, sanctions previously imposed on Iran by the United Nations, the European Union and the United States would be progressively lifted. The sanctions which were an effort to force Iran to halt uranium enrichment had a crippling impact on the Iranian economy. The sanctions were largely related to the Iranian export of oil and petrochemical products, important elements in Iranian foreign trade. In US legislation, the US President must sign every six months an "Iran sanctions waiver" so that the US does not re-impose its sanctions policies. The next deadline is 12 May. Although as a rule of international law, one State can not alone modify a multilateral agreement, if the US were to reapply sanctions on Iran, the Accord would be deeply weakened if not totally destroyed. While the decision of the US waiver of sanctions is a presidential decision alone, the issue has a potential impact on all the conflicts in the wider Middle East as well as a potential impact on negotiations with North Korea on nuclear issues. Therefore, the Association of World Citizens believes that there is a need to build active support for the Iranian Accord both within the USA and among the other States party to the Accord. Views on the importance of the continuing validity of the Accord should be shared widely among political representatives and foreign policy specialists.